Dunelm is a leading homewares company dedicated to helping everyone create a home they love, and for 40 years they’ve brought together great value, a wide range and expert knowledge to create a collection of beautiful and practical products. From everything to make your home tick to everything that makes it feel like 'you', shopping bedding, curtains, blinds, rugs, lighting, furniture, kitchenware, home décor and more is easy, online and in over 170 stores. 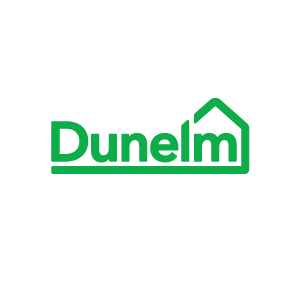 Shop the latest trends, traditional looks and everything between, or let Dunelm's expert teams create your bespoke curtains, blinds, accessories and upholstery using their made to order services.